If all went well – TODAY the new microfilm research room at NARA 1 opened! 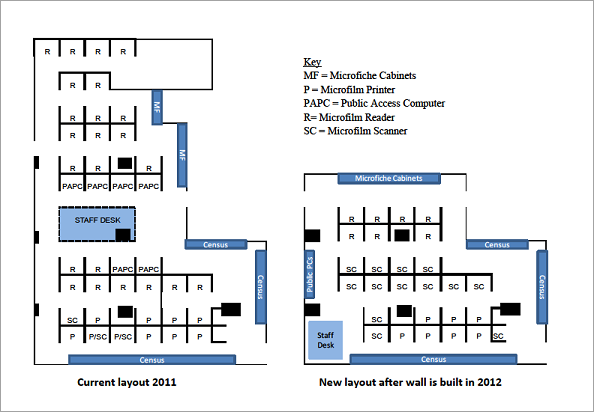 A new Microfilm Research Room is scheduled to open on Monday, May 21, 2012, in the Robert M. Warner Research Center in the National Archives Building, Washington, DC. It will house 27 researcher carrels, 5 public use computers (and printer), custom millwork bookcases, and a custom millwork staff control desk at the entrance to the room. From the old room will come microfilm and microfiche cabinets, map cases, DVD spinners, and more than 150,000 microfilm reels. While systems furniture panels and work surfaces that form the carrels will be reused from the old room, the fabric and trim will be new. If you are a DC-area researcher, please let us know what you think? Editors Note: A few months ago when I was last there it was clearly undergoing reconstruction though I did benefit from the already increased number of Microfilm Scanner machines (the kind where you can put found items on a USB stick) which was very nice! For NGS Conference News -- Check out FB! 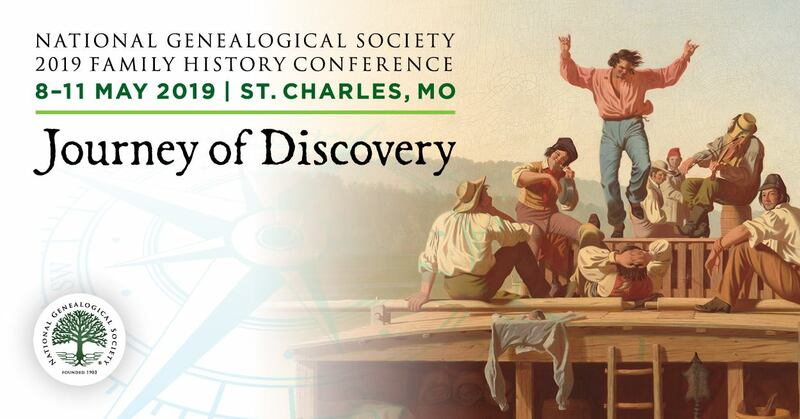 The NGS 2012 Family History Conference is NOW!